Hello all, I'm back after a long time not posting. Finally finished my course at Fitchburg University, Thanks Dr. Jim! learned alot! Well I'm going to try to back post. I've got a ton of projects backed up on my phone and in my grey organic hard-drive. 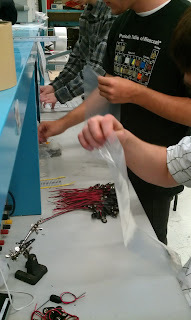 Some of my students assembly on the LM324 Blink Kit. 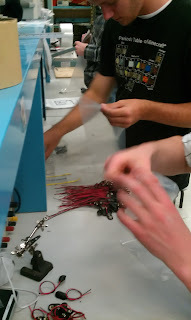 This is the same project I did back in July 2011 http://www.n1ir.com/2011/07/10000-lm324-donated.html . 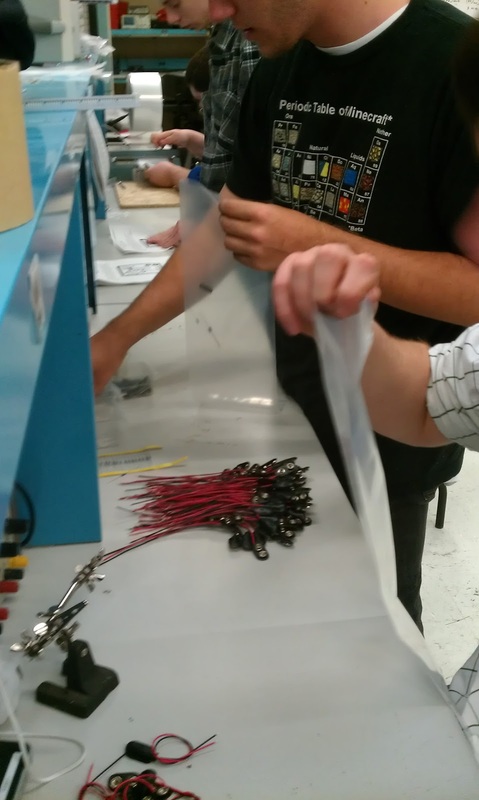 So far we have 100 kits assembled in about 2 hours, milling the PCB take considerably longer, about 18 hours. Total cost of each kit is about $0.50 a big cost savings. Way cheaper that the $3.00 kits we were getting.